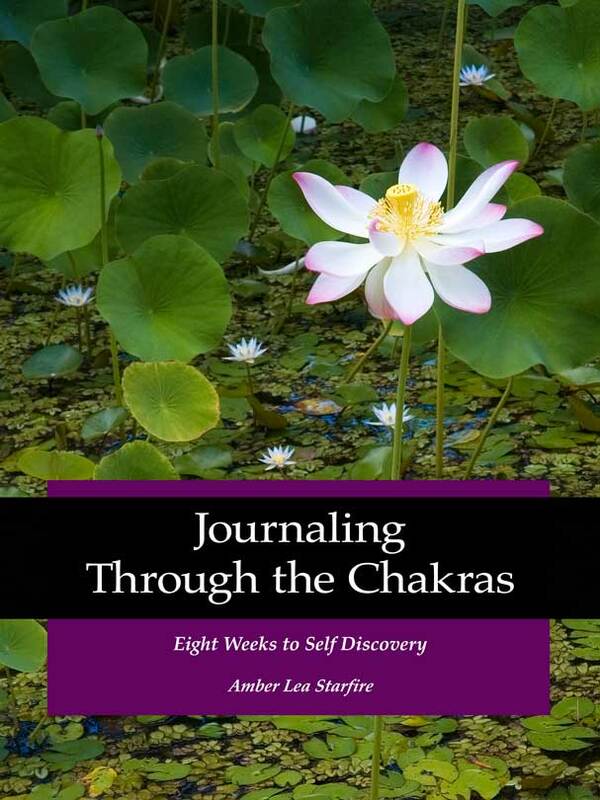 What is Journaling Through the Chakras? JOURNALING THROUGH THE CHAKRAS is a truly unique approach to personal growth and spiritual healing. Designed and taught by Amber Starfire in a small group context, the course leads you step-by-step through each of your main energy centers. These centers or portals, known as chakras, are portals that transfer or translate energy from spirit to matter and vice versa. The chakras are located in the physical body, yet they are not physical, so they can be seen as the meeting of spirit and body. When the chakras are open and in balance, then our life force flows freely through our body. We are healthy and operating at peak energetic capacity. When they are out of balance or not functioning properly, the result is physical and/or mental and emotional illness. In this course, through the process of guided meditation and journal writing, you will explore and learn about your own chakras in a safe, supported environment.